The UK policy of recommending that women take folic acid supplements before pregnancy to prevent birth defects appears to be falling on deaf ears. This is the conclusion of a study from Queen Mary University of London, which has revealed that less than a third of women planning pregnancy take the vitamin. The recommendations were based on 25 year old research which showed that taking folic acid supplements before pregnancy can help prevent spina bifida and other birth defects of the brain, spine, or spinal cord (neural tube defects). The study, carried out by Queen Mary’s Wolfson Institute of Preventive Medicine, questioned nearly half a million women attending antenatal screening between 1999 and 2012 in England. Analysis showed that the proportion of women taking folic acid supplements decreased from an already low level of 35% in 1999-2001 to just 31% in 2011-2012. The findings also showed strong ethnic variations, with only 17% of Afro- Caribbean women, 20% of South Asian women and 25% of East Asian women taking folic acid supplements, compared with 35% of Caucasian women. 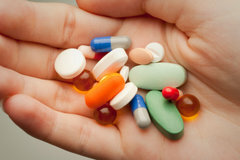 In addition, only 6% of women under 20 were taking folic acid supplements compared with 40% of women aged 35 to 39. The proportion of women who started taking folic acid after finding out they were pregnant did increase from 45% to 62%. However, for the preventive benefits to be effective, the supplements need to be taken before pregnancy. Over 70 countries, including the US and Australia, have introduced mandatory folic acid fortification. But despite recommendations from the Food Standards Agency to fortify flour with folic acid, and evidence that such measures are effective, neither the UK nor any other EU country has mandated this.